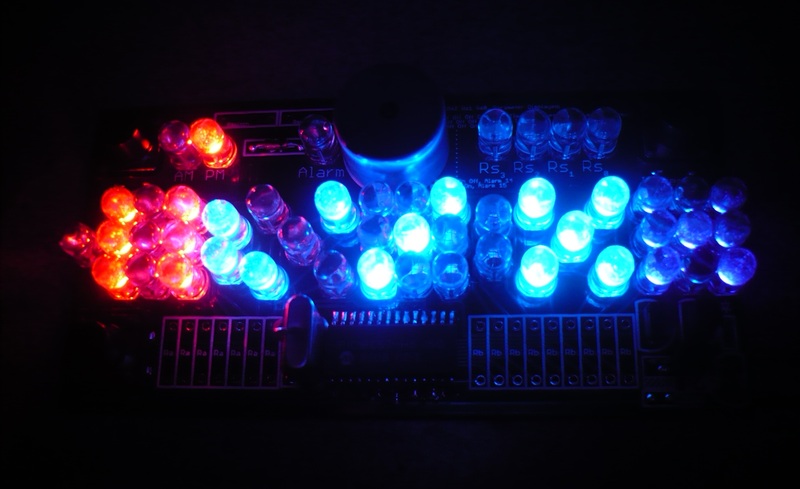 Here we have a dice LED clock kit. Yes, it's true. This time, it comes with a board. It counts the time and stores 15 independent alarms that can all be set to different times, yet has no calendar function, so they all go off every day (if they are enabled). What was I thinking? I don't know. But that's the way it is. It is the same type of clock which is shown here, it's just that this time it comes with an actual board! What a time-saver!